5th quartet playing. Can Shostakovich be beautiful? Yes, it can. Without losing the drama. My first encounter with the Shostakovich string quartets was in the eighties, with the Borodin Quartet, as I've already revealed. (Everlasting experience, somewhat as mind-bending as had been Ligeti's orchestral works, Sravinsky's "Rite" and Mahler.) I was quite sceptical with the Mandelring Q's Shostakovich, considering their fame of tonal purity and homogeneous sound. But it (the quartet) have turned out to be quite remarkable also on Shostakovich (they've recorded recently the whole Mendelssohn string quartet output, too, and Janacek's quartet's, with very fine results). 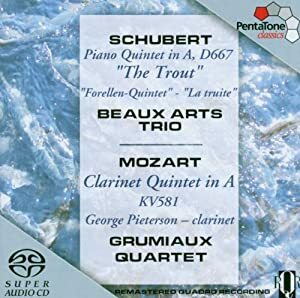 Few days ago one critic praised one young contemporary string quartet - a recording of Doric SQ, actually: that it pretty much blew away all the older recordings with the supreme playing and fine quartet sound. That just prompted me to study the home library for contemporary quartets. I do like St. Petersburg SQ along with a half-generation older Hagen Quartett. 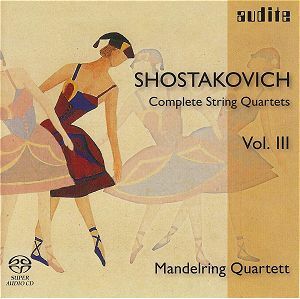 But it's this weekend's listening to the Mandelring Q's Shostakovich that proved to me it to be an all-around quartet, not only a fine player of romantic repertoire. My absolute favorite recording(s) of a Shostakovich String Quartet,would be the one or two The Hollywood String Quartet did for Capitol. My 15th Tallis Scholars CD, music of Thomas Tomkins (1572-1656). The gentleman on the cover is King Charles I. Despite the label, no problems with this one. Recorded 4/83. Always Bach on Sundays. Recorded 7/97, La Chaux-de-Fonds, Switzerland. ToddBD, Mik, Byrdsmaniac and 2 others like this. Well, I don't think that's a fair comment. The European Commission did this to prevent Universal from becoming too powerful and dominant on the European market, which could have had a bad effect on the competition and could ultimately have driven them (the competition) out of the market. The music would have been the victim in this case. It's a band-aid over a jugular wound, the patient's gonna bleed out anyway. The "classical" slice of the pie is so small, attempting to prevent Universal from cornering the market is too little, too late. I don't care for his work either. Maybe, but that doesn't mean the European Commission shouldn't have done it. Not even in late romantic works? 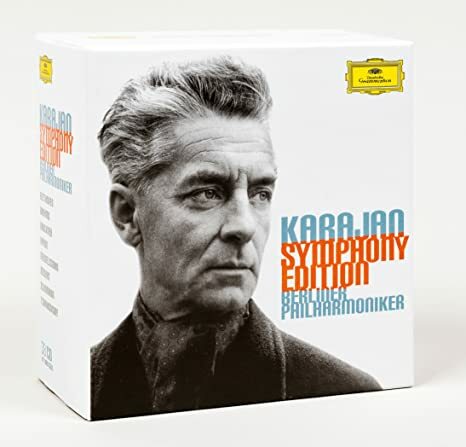 I have his Mahler 2nd on Blu-Ray, which I liked on my one listen. It's a shame that I can only play Blu-Ray through my secondary system. It's pretty good (Cambridge Audio 840 Amp/Thiel 1.5 speakers), but it doesn't have the heft of my main system. Maybe one day I'll move my Oppo over just to check it out. I also have some Mehta in my Decca and Verdi box sets. I've never heard a Mehta performance that did anything for me. Most often I start my day with something from the Baroque or Classical eras. This morning, instead, I am starting with Ashkenazy playing the Rachmaninov Preludes. Mik and J.A.W. like this. The Decca box has Mehta's "Planets" which receives a lot of praise. I'm just not that big a fan of the music, itself. I have the entry level model 505u which is 100W Push Pull, really great with the Harbeths. I dont miss my seperates at all (Quicksilver 70s tube monoblocks). Have my eye on the 30W Class A 590AX integrated amp, top of the line Luxman, but it's very expensive (even used). One can dream though..
Has any CMC member ever purchased from an Amazon US MarketPlace seller located in Japan? Do I have to pay any import fees other than the required $3.99 shipping? I like what I have read about Harbeths, which are pricey English speakers. They do not have much bass as they are essentially bookshelf speakers, right? Classical Music Forum Appreciation giveaway. This is a hybrid Multi Channel SACD. I can't play two at the same time.